The Montreux URComfort® Cushion Swivel Action Lounger harmonizes with the movement of your body to find the most comfortable position. 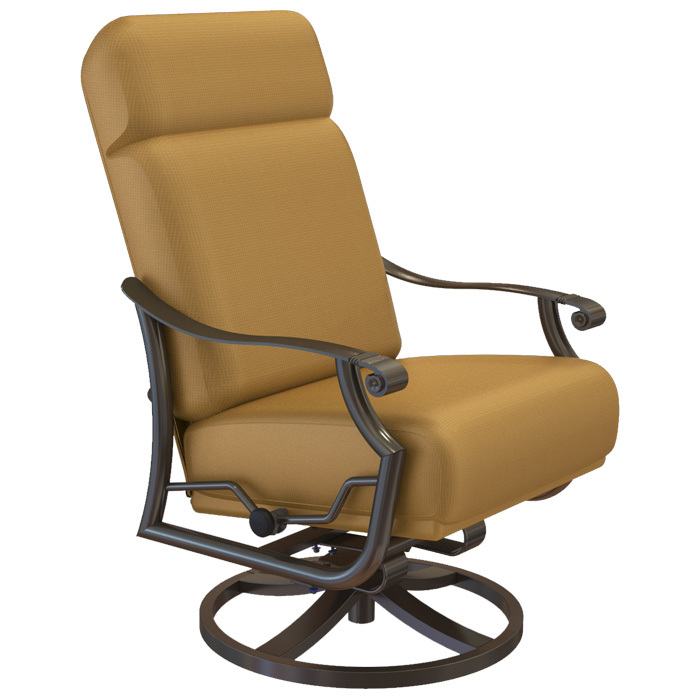 Utilizing multiple pivot points and allowing movement of both back and seat, the Montreux URComfort® Cushion Swivel Action Lounger promises relaxation. Designed by Peter Homestead, the Montreux URComfort® Cushion Swivel Action Lounger is sturdy, stylish, and delivers deep cushioning. Get the most from outdoor patio furniture by pairing the Montreux Cushion Swivel Action Lounger with coordinating outdoor Tropitone® Dining Tables under a Basta Sole® Market Umbrella.